Time for Everything & a Giveaway! Didn’t I just give birth to that giant baby who took days to come into the world? How is it that in just one month he will be five and that he has begun his school life? It is the intensity of transition that makes mamma hearts ache. That first one? That one during labour? That one is only the beginning. The rest sting just as mightily. Last weekend I did a workshop for parents sending their kids to university. We were feeling the same, them and I. Scared. Proud. Sad. Excited. Conflicted. But still we know. There is a time for everything. A time to bare down and fight. And so we release them over and over again. In all the ways…once the transition pains ease, release soon comes. E and I are making our way into this new stage too. More girl time for us. 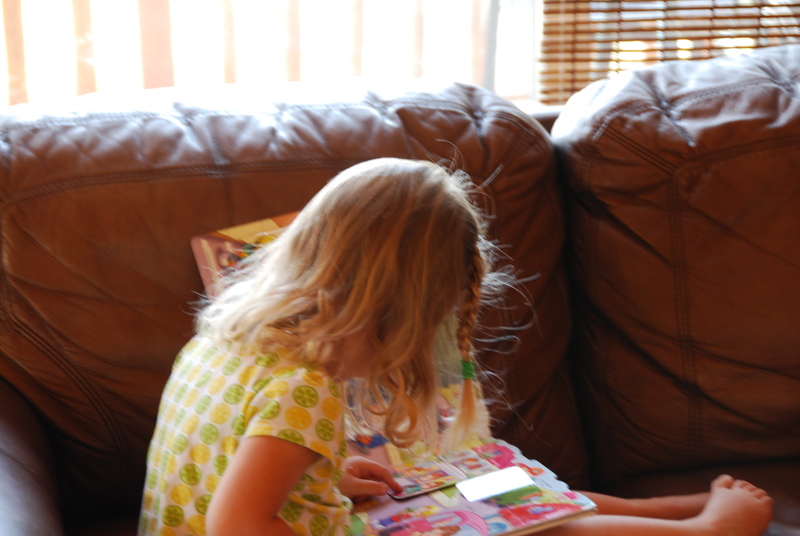 She is finding her way to new toys and settling in with a good book beside me. It’s a slow day. Partly because O is not here. Partly because…well a rather large Amazon parcel arrived. And guess what? 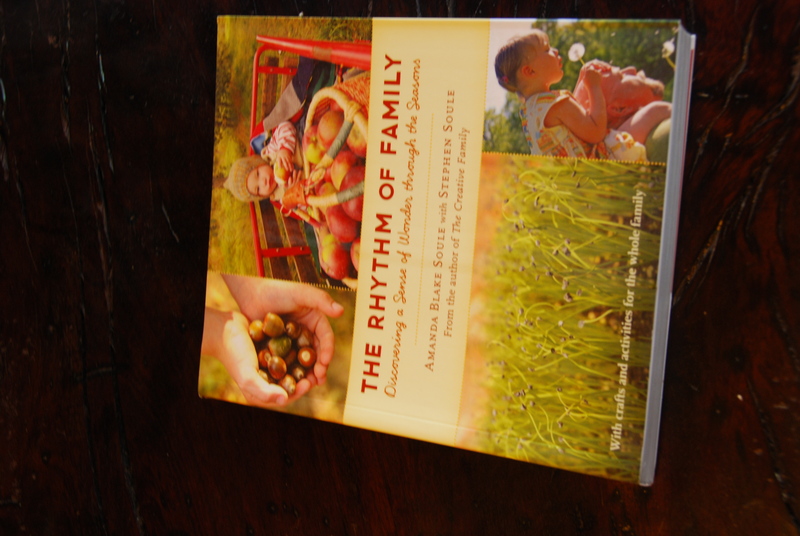 I accidentally ordered two copies of “The Rhythm of Family”. 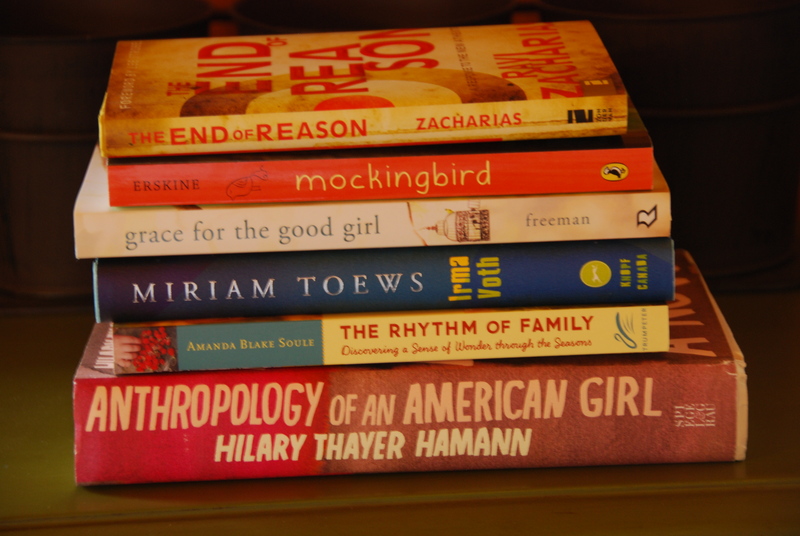 So my very first bloggy giveaway! If you would like a copy of this awesome book from Soule Mamma leave a comment and I will get it to you!!! UPDATE! The winner of the book is commenter number two~ Congratulations Kristie! We haven’t met yet, at least that I am aware of, but I have been tracking your blog for a few months. A good friend, Melissa Roe, wouldn’t let up about it so I had to take a peek… and now (like her) am hooked! Dropped by today and was compelled to check out the books on your photo. I immediately noticed the title the Rhythm of Family and was intrigued by the title. Was going to check it out on Amazon and then noticed that you’re giving it away?! If it is still available I would love to receive it. (I love free stuff… probably because I’m a cheap mennonite.) But I must clarify: I don’t have a family. The hope is there. The reality is not. But I’m always looking for good ideas and great resources. Let me know if this is a qualifying factor. Kristie is our winner! To choose you I let my kids pick a number….Emily of course choose 2! Congratulations Kristie! Thanks for reading and I will give the book to Melissa to pass on if that is ok? Thanks! Oh that’s wonderful! Now I’m excited for some delicious fall reading… sipping a cup of hot apple cider, snuggled in my hammock in a warm blanket. I look forward to receiving the book from our good friend Melissa. And please extend my thanks to Emily — two is a great number! Oh pick me, pick me! I know her stuff, lovely! I’d love to win this book. I’d love to win it too… the pictures on the front catch my eye… my favorite time of tear! Ok Melis… soule Mama is up their in my blogs that i follow too… maybe she will inspire you to knit with us:) kidding. keep writing, love your post. so excited about your “Yes.” If you haven’t done the draw… I love to win too or I could also just borrow you book some time:) hope to see you guys soon.